I have seen all places – but there is none as beautiful as yours! 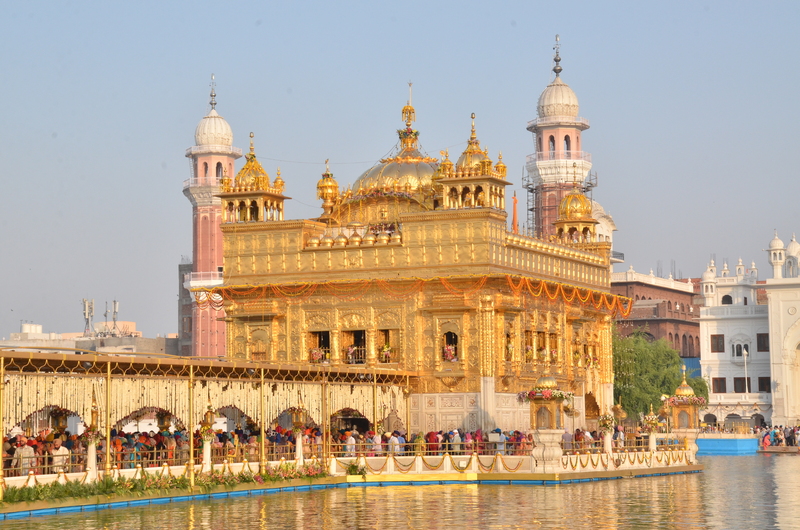 The Golden Temple was truly spectacular on this special day. 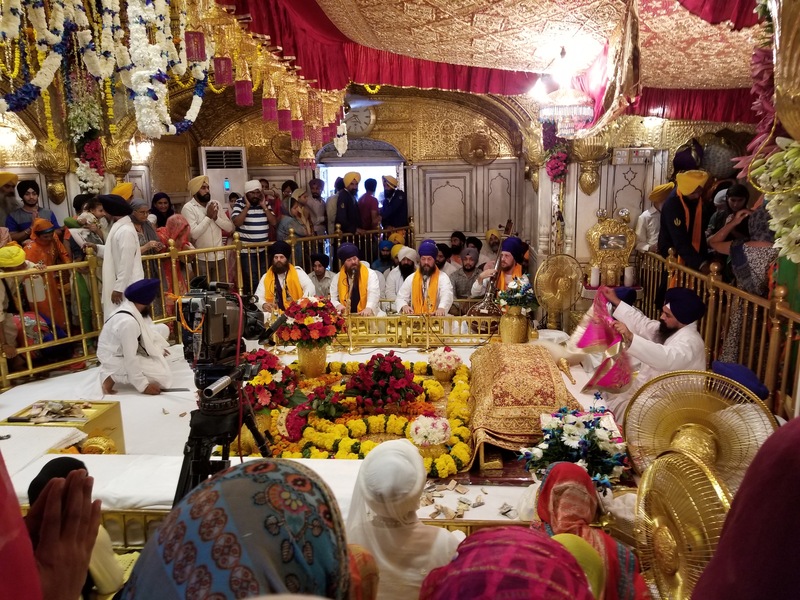 More than 8 tons of flowers had been flown in from all over the world to decorate the altar – which is every possible space in that amazing place. 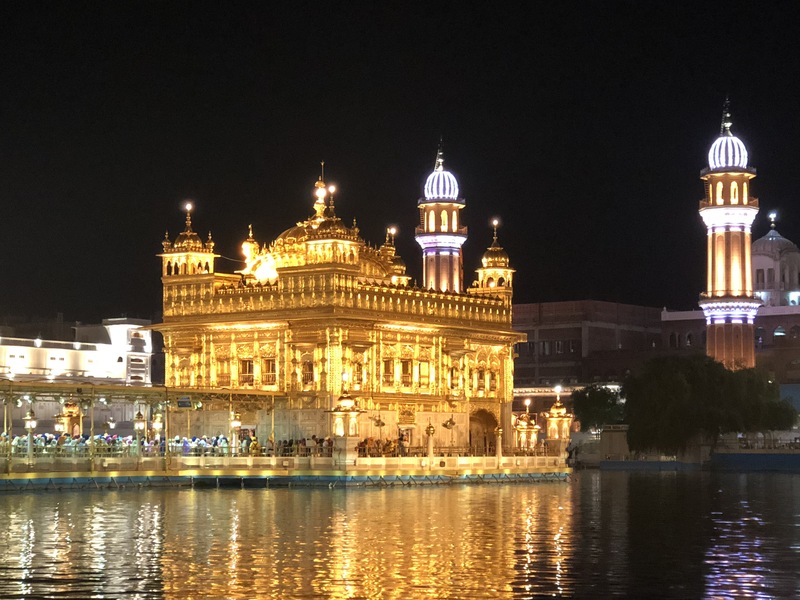 Haridass Kaur Khalsa from Los Angeles brought her Level 2 Authentic Relationships program to share in Guru Ram Das’s birthday in Amritsar before traveling onto Anandpur Sahib. 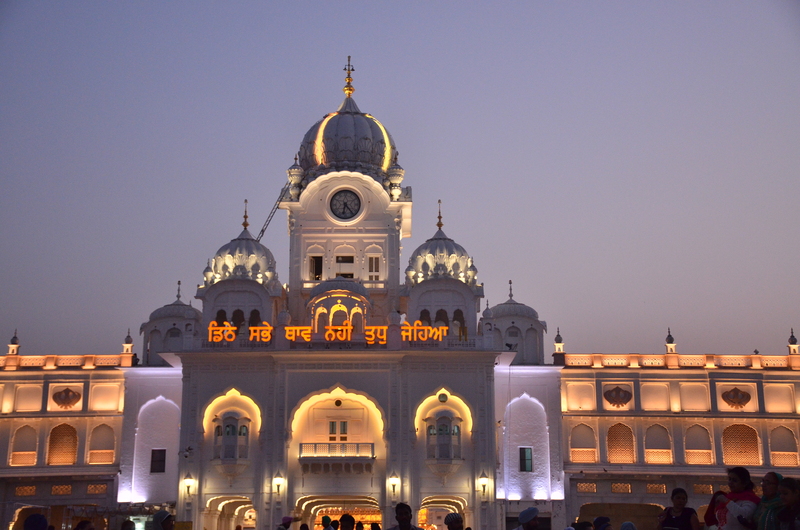 We all joined together and, with the people of Amritsar, we immersed ourselves in the love of Guru Ram Das! 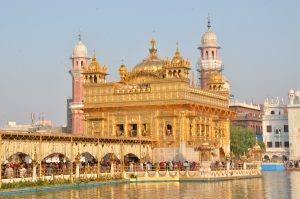 The crowds were huge, and the wait to get into the Golden Temple was hours and hours. 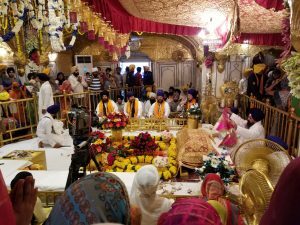 But because we were with the Chardi Kala Jatha, we were able to just walk right in when they played kirtan. It was heaven! wonderful trip! I look forward to spending this time with you again next year. Article from TribLive original article can be viewed here. Wednesday, March 11, 2015, 3:45 p.m.
Heather Ferri instructed the four women in her yoga class last month at Avani Institute to rub their hands together and sit up tall. Ferri also directed the women on how to inhale and exhale before guiding them through “fire breath” — short, even exhalations that are part of Kundalini yoga. She guided them through bends, placing one leg up, then both up. Lying on their stomachs, the women did the cobra pose, supporting their upper bodies with straight arms and then grabbing their ankles. Fire breath is a foundational technique of Kundalini yoga, one of 22 forms of yoga. It is rapid, about two to three breathing cycles per second. This sort of rhythmic breathing is powered from the navel and solar plexus, and is not hyperventilation. Two of Ferri’s students this day did the poses on the floor; two others, sitting in a chair. Ferri said the breathing component of Kundalini yoga is very important. Ferri studied at the Kundalini Yoga Research Institute in Espanola, N.M., where she completed Level 1 certification for instructors and is working on Level 2. One of her students, Jenny Butterfield of Peters, began taking Kundalini yoga workshops in the East End, then privately with Ferri. But another effect for her was emotional healing. “My parents divorced when I was 17, and I had a lot of emotional baggage from that,” Butterfield said. “When the emotional healing took place, the weight just came off.” Butterfield also changed her eating habits. Julie Cerrone, 29, of Bethel Park said she has digestive issues, “so whenever I focus on my breath, it really does help” her symptoms. Kundalini yoga workouts are “challenging yoga” for Americans more used to other forms, said Rita Lampe, 51, of Shaler, a clinical social worker. “They want fast, they want hot, they want to walk out feeling like every muscle in their body has been used,” she said of many yoga students. Lampe, who has taught yoga, has been taking Kundalini yoga for three years. Because of her work with fire breath, Lampe said, she was able to climb Huayna Pichua mountain near Machu Picchu in Peru, more than 8,900 feet above sea level, with no breathing problems. “I thought: it’s the Kundalini yoga breath work. My lungs had gotten so much stronger,” Lampe said, but Kundalini yoga also works the heart, abdomen and brain. A study published in 2014 in the U.S. National Library of Health of the National Institutes of Health, for example, showed clients at a community health clinic who completed cognitive behavior therapy along with Kundalini yoga training had improvements in anxiety, depression, panic, sleep and quality of life. 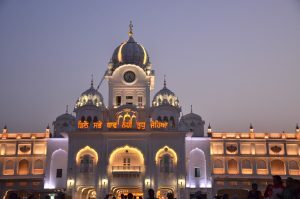 “Results from this preliminary study suggest that (Kundalini yoga with cognitive behavior therapy) may have potential as a promising treatment for those suffering from generalized anxiety disorder,” the study stated. Sandra Fischione Donovan is a contributing writer for Trib Total Media.